Storage facilities are traditionally used as a temporary, relatively inexpensive alternative to moving some of your old – but still prized – possessions into your new residence, or simply to keep your things safe until you find a more permanent place. This hasn’t stopped some people from keeping truly weird and interesting stuff in storage lockers, and treating it as an extension of their personal collections, even though the storage is offsite. Anyone not living under a rock for the past few decades can surmise just how valuable anything recorded by the late Michael Jackson is worth. Since his unfortunate passing just a few years ago, his estate has raked in almost half-a-billion dollars! The man isn’t even making music anymore, and yet public demand remains at feverish levels. Just think how lucrative a treasure trove of unreleased music from the King of Pop would be. His father, Joe Jackson, once had a storage unit possessing at least 250 such songs, which aren’t under the purview of any of the big companies – which means the entire worth isn’t legally tied to any catalog. The Jackson family is reportedly in negotiations to sell the catalog. This one is probably the dream of most people at storage auctions, even though it almost never happens. Keeping cash in a storage unit is a pretty bad idea in general – that’s what banks are for. In California, however, one lucky customer bought a storage unit for just over a thousand dollars, only to find almost one million dollars in gold bullion and precious metals. Don’t bother taking the trip down to San Jose to see if you could luck out, too. That depends on which ones, of course. 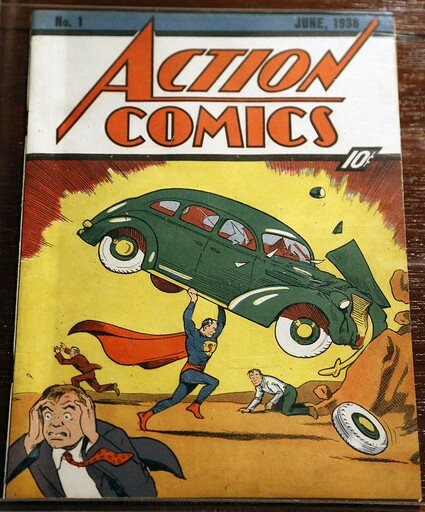 When you’re talking about Superman the Man of Steel and Action Comics #1, think millions of dollars for an original copy. This – and the nostalgic cost, of course – is the kind of loss Hollywood actor Nicholas Cage was facing when his copy was taken from his home over a decade ago. The thief stored the comic book in a storage container but then left it and stopped paying for the rental unit – apparently unaware of the worth! 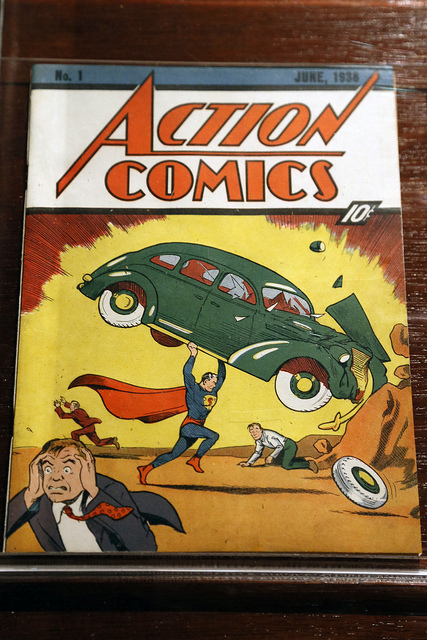 When the buyer of the unit discovered the cache and tried to sell it, the comic book dealer recognized the extreme rarity and Nicholas Cage eventually got it back. Guns, both working and antique, aren’t very strange items to find in storage units. A real, explosive grenade with the pin still inside is as dangerous as it is unique, however. Imagine the surprise when this distinctly military munition was found in a storage unit in Michigan. It actually took an ATF bomb squad to safely transport the device before exploding it far away. most storage units won’t have millions-of-dollars in them. However, auctions are big business for a reason: you just might come across a welcome or story-worthy surprise. Image by Jim, the Photographer and licensed through Creative Commons.